In 1884 an old bunkhouse was built by William Slaughter, who became famous for catching Geronimo, the notorious Chief of the Apache Tribe. 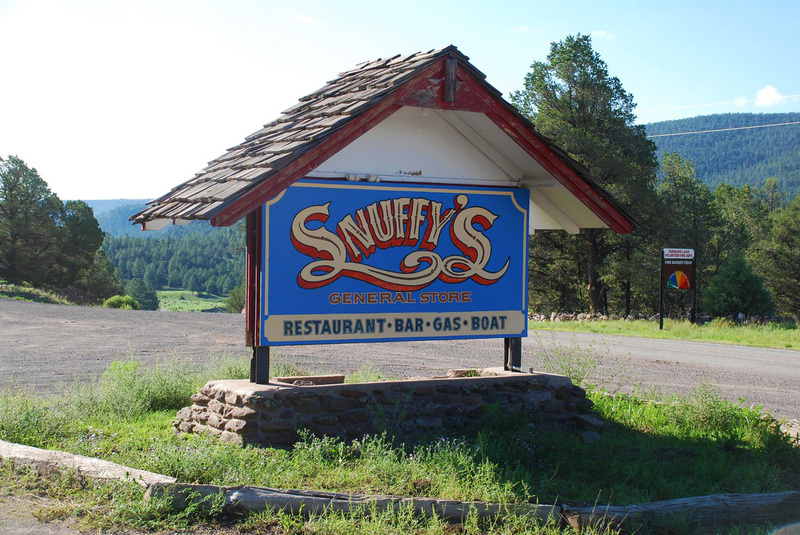 In 1971, after Quemado Lake was dedicated, that bunkhouse became a tackle shop and was named Snuffy's. 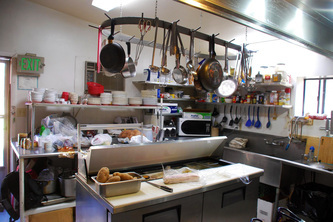 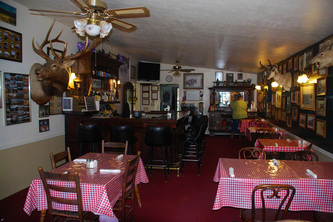 It has since been turned into a very nice restaurant which seats 20 customers. 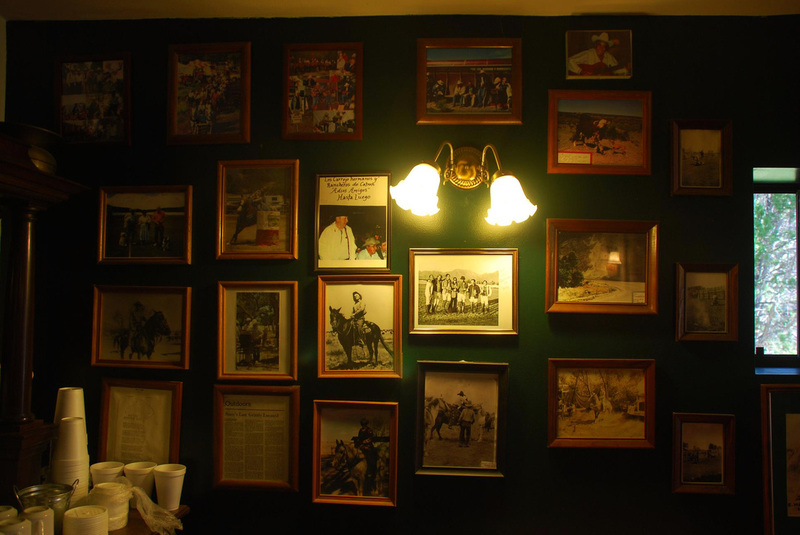 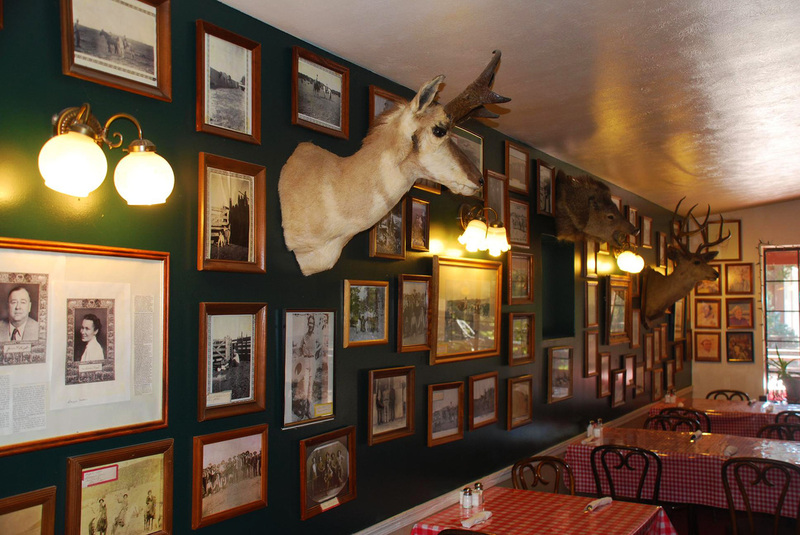 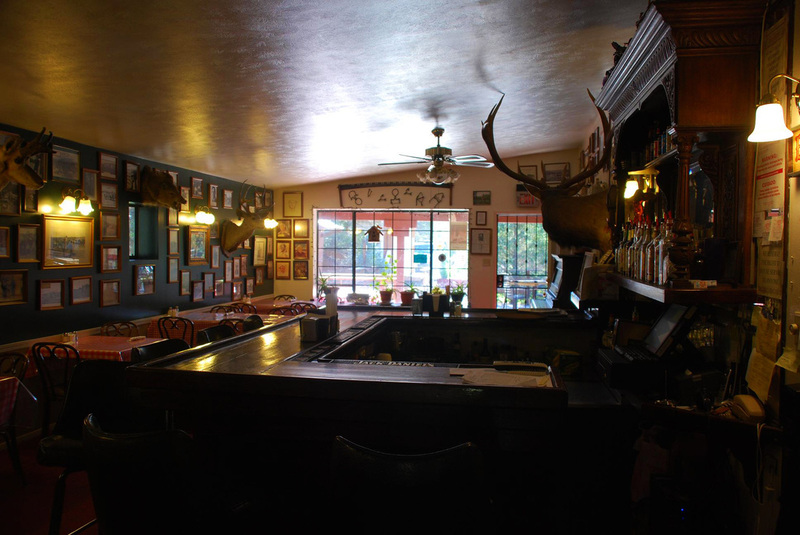 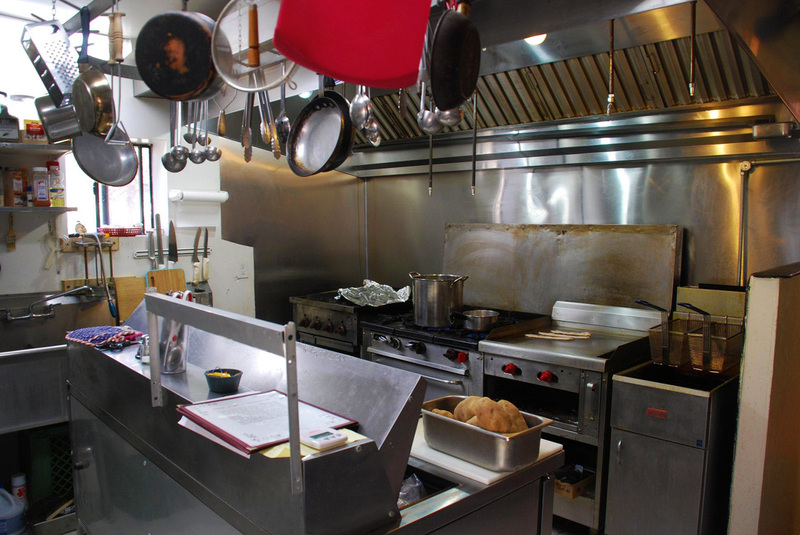 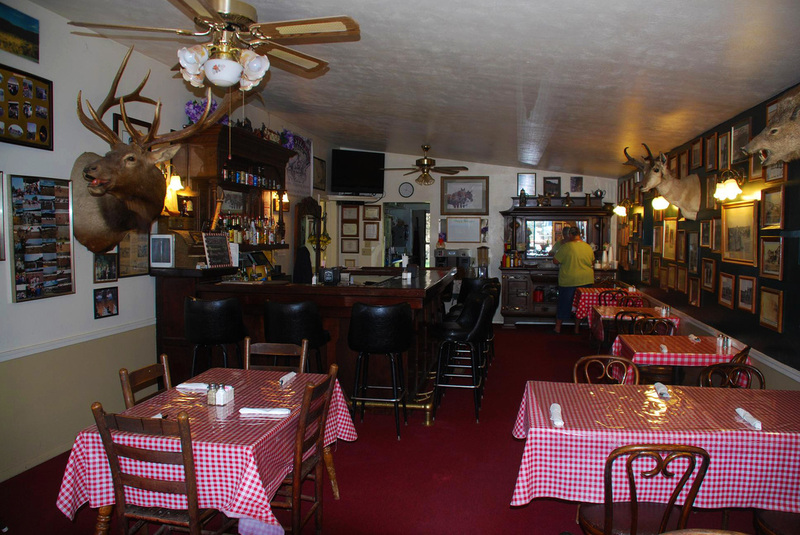 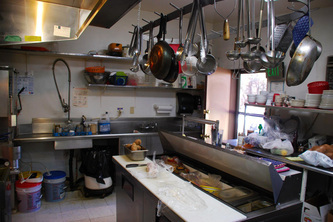 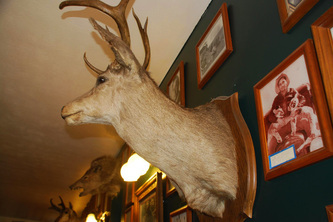 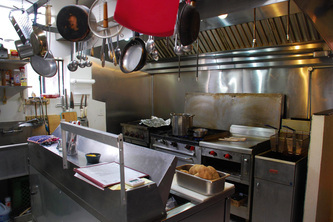 It still features an old antique bar, and its commercial kitchen churns out some of the best steaks in the West. 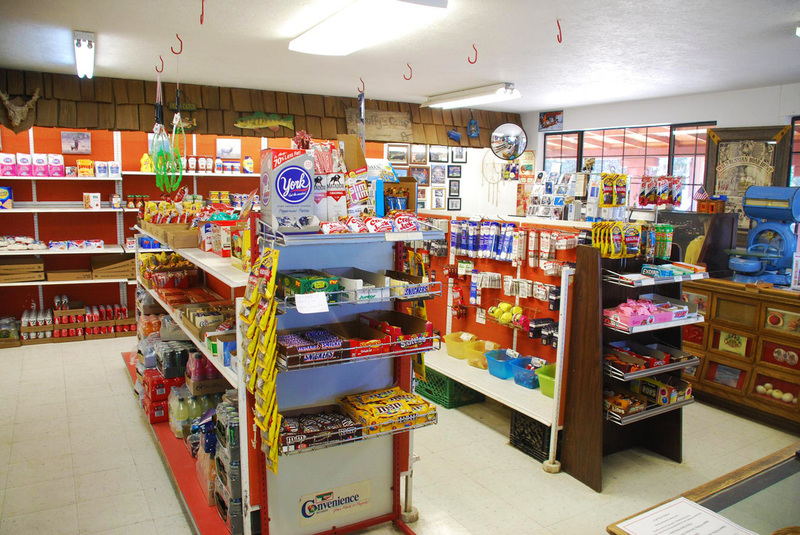 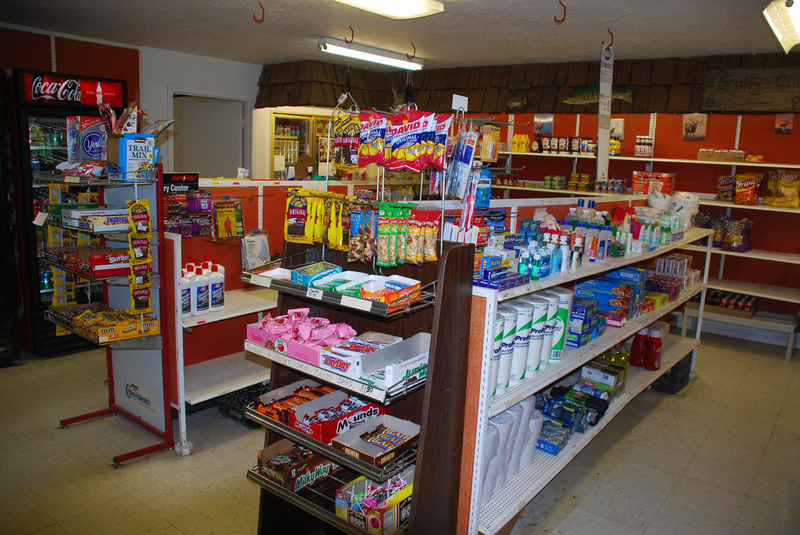 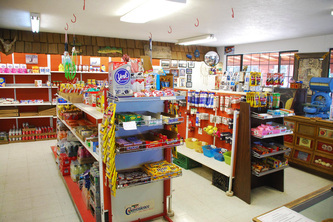 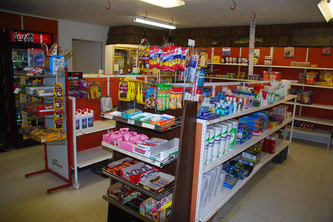 In the same building with the restaurant is a tackle shop also offering groceries, refreshments and snacks for the hungry fishermen. 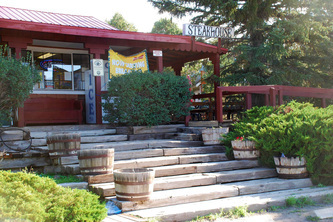 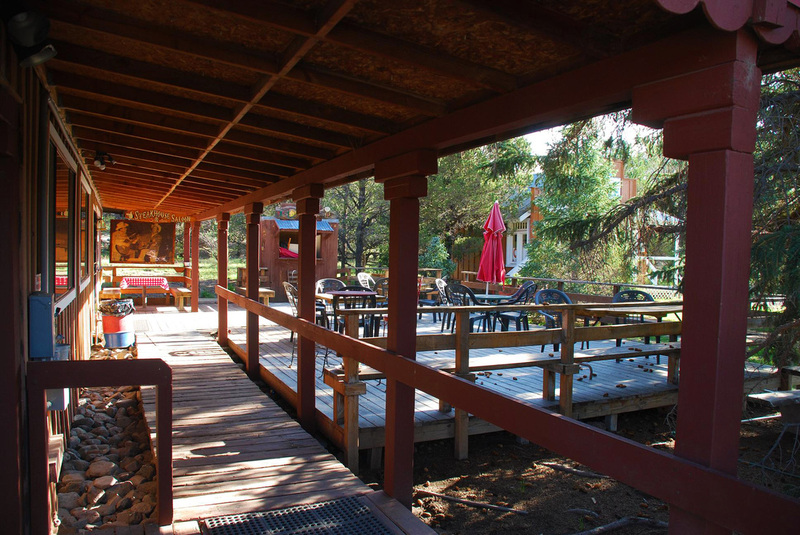 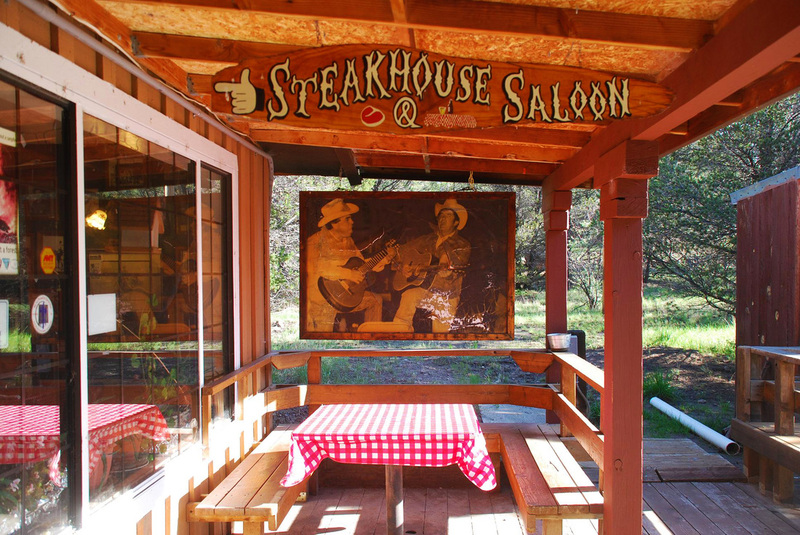 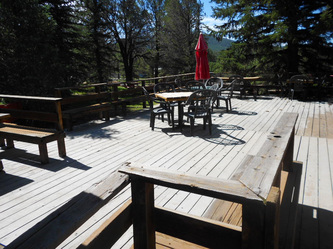 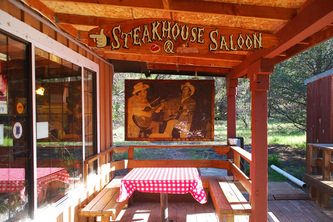 Outside, the guests enjoy fresh mountain air while they eat on its large dining patio, which seats another 30 guests. 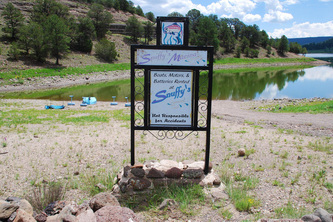 At Snuffy's own marina, boats and electric motors are available to rent. The lake is a no-wake fishing lake and part of a Forest Recreation area. 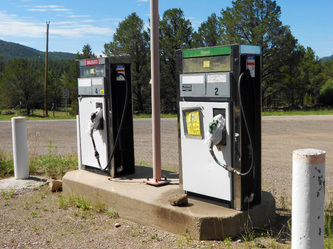 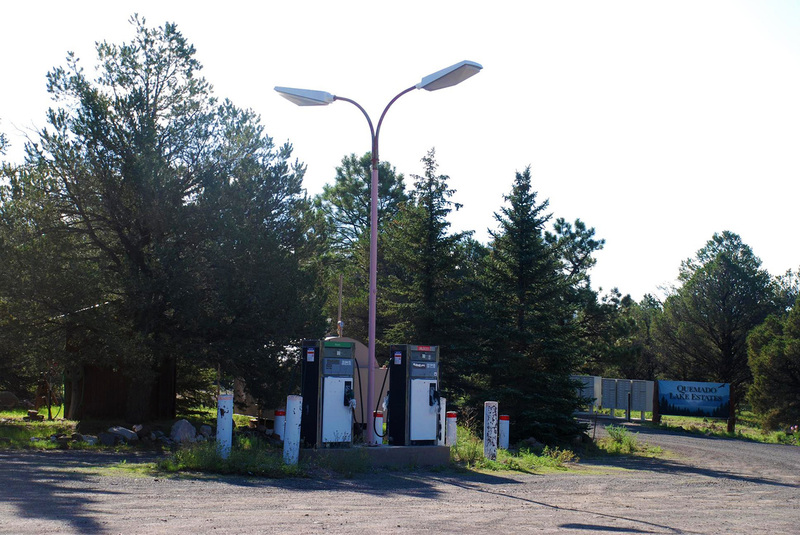 The former gas station by the restaurant has been shut down by the present owners, but it may be reactivated. 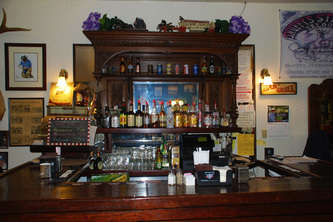 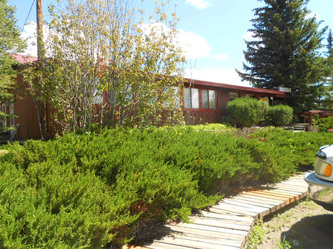 The asking price does not include the liquor license, which is offered separately for $ 350,000. 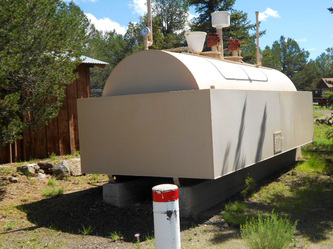 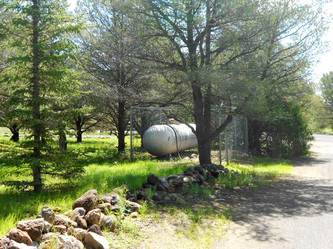 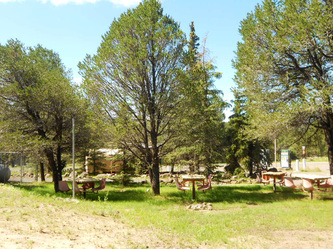 Build cabins, camp sites & mobile home park here. 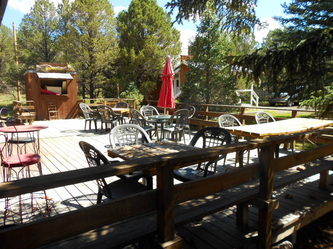 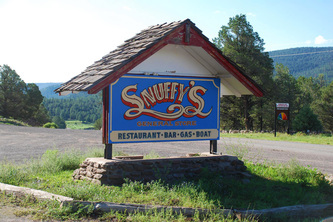 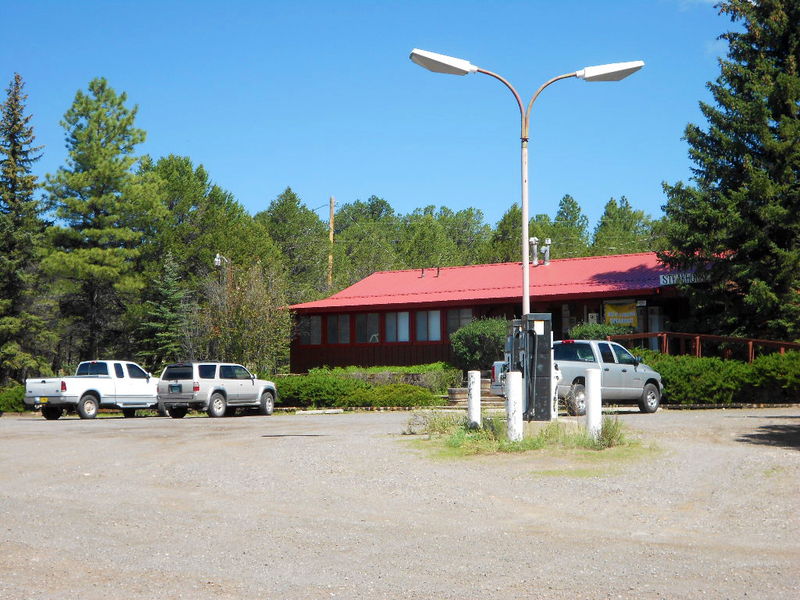 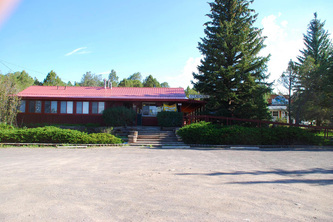 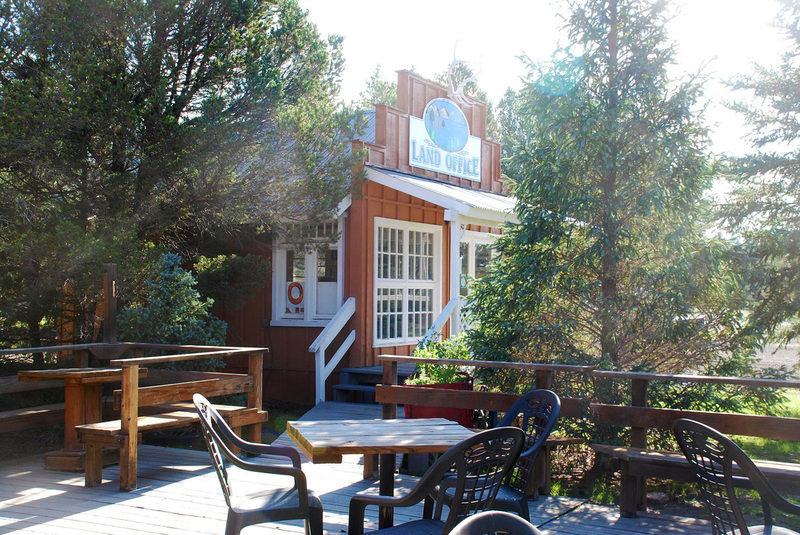 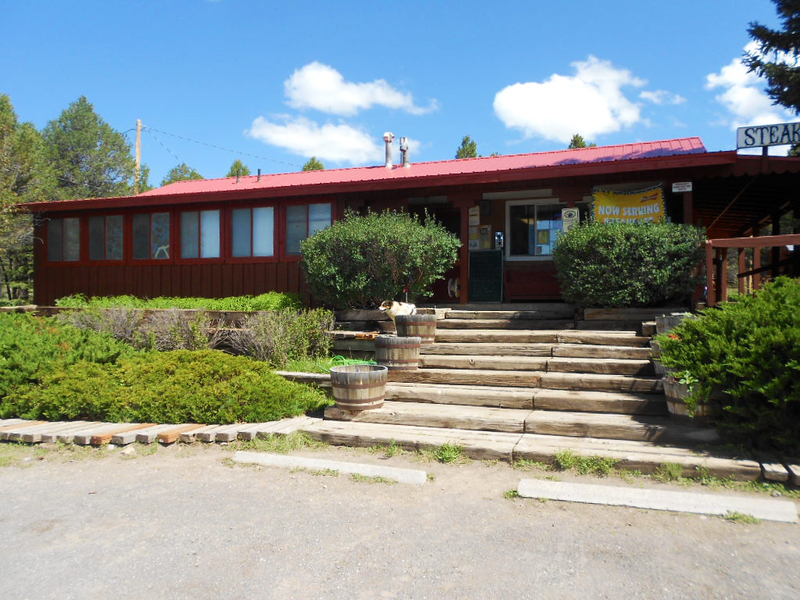 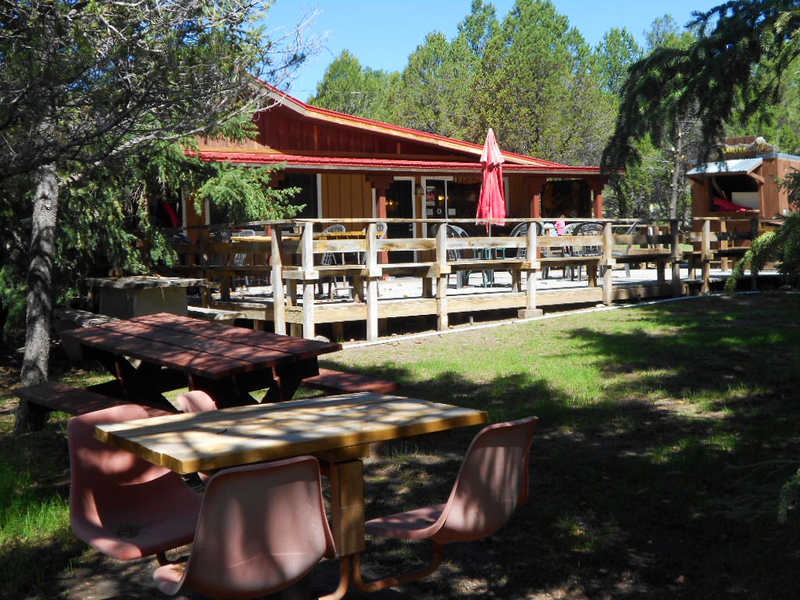 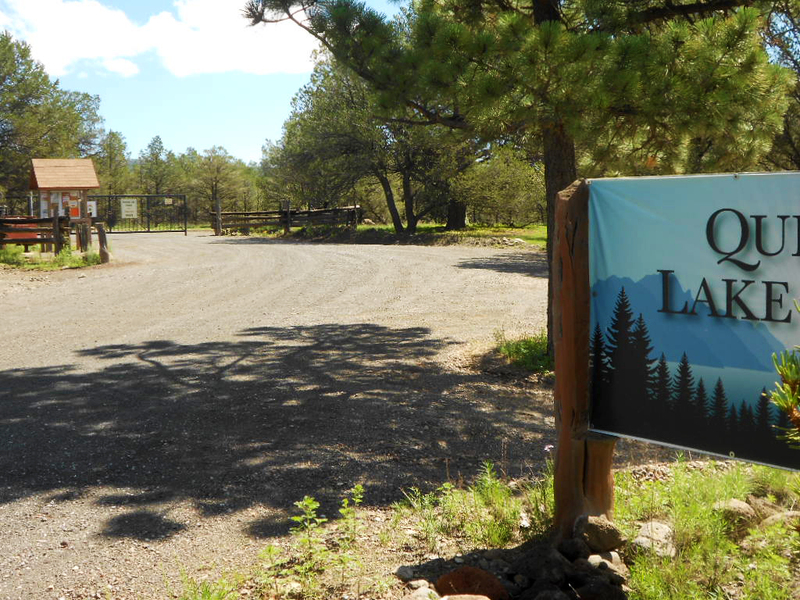 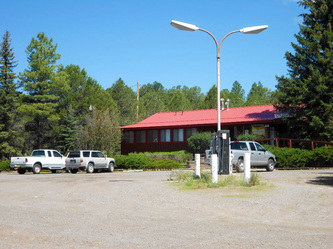 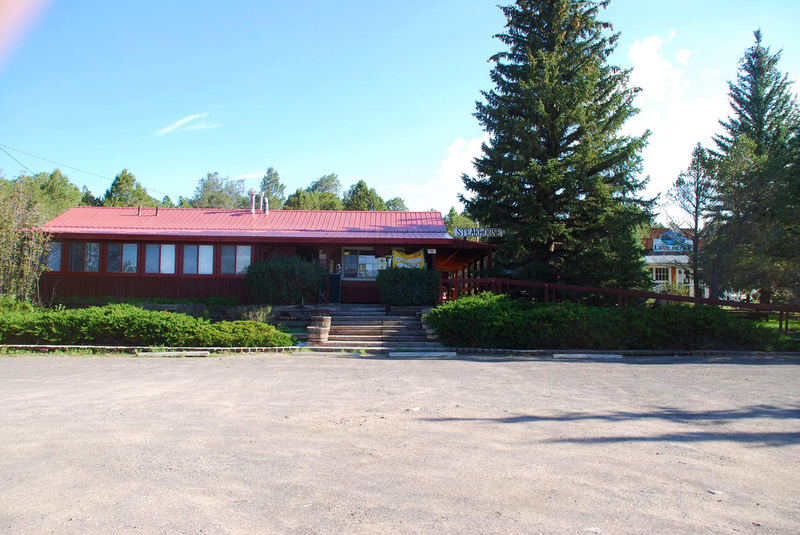 Snuffy’s Restaurant is directly adjacent to the gated Quemado Lake Estates Subdivision with over 70 lots, and only a mile from Quemado Lake. 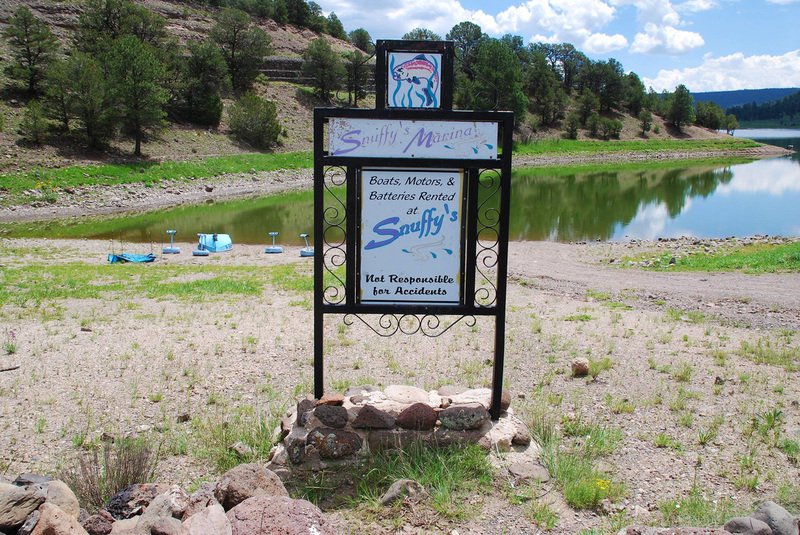 It is the focal point of the area for refreshments, tackle and food supplies for local residents, campers and fishermen alike. 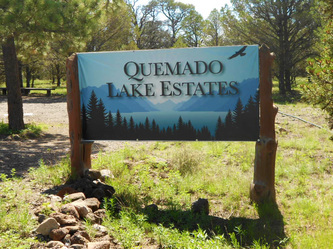 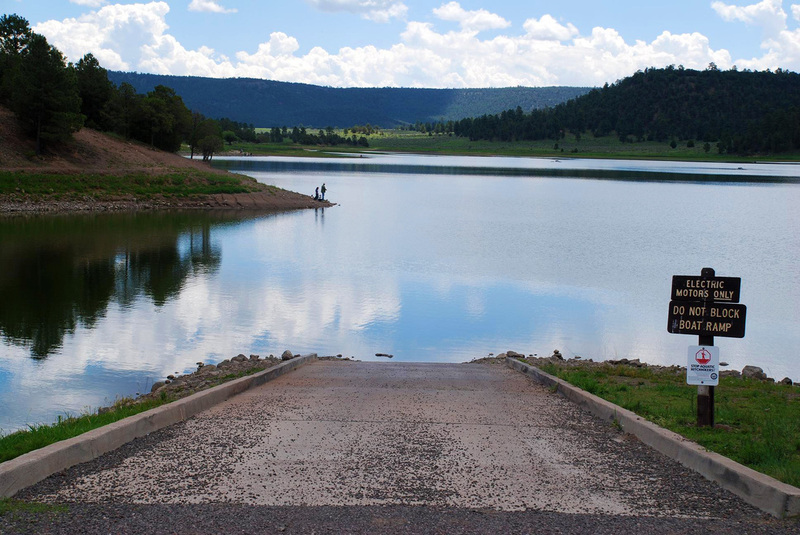 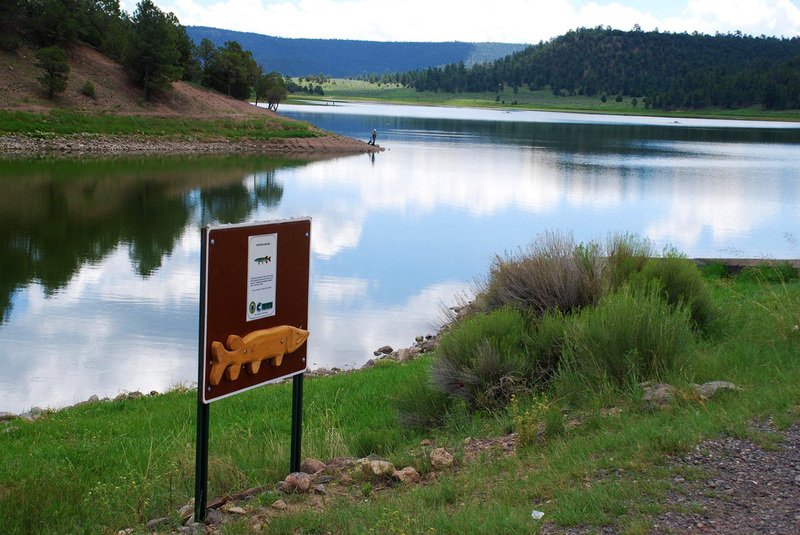 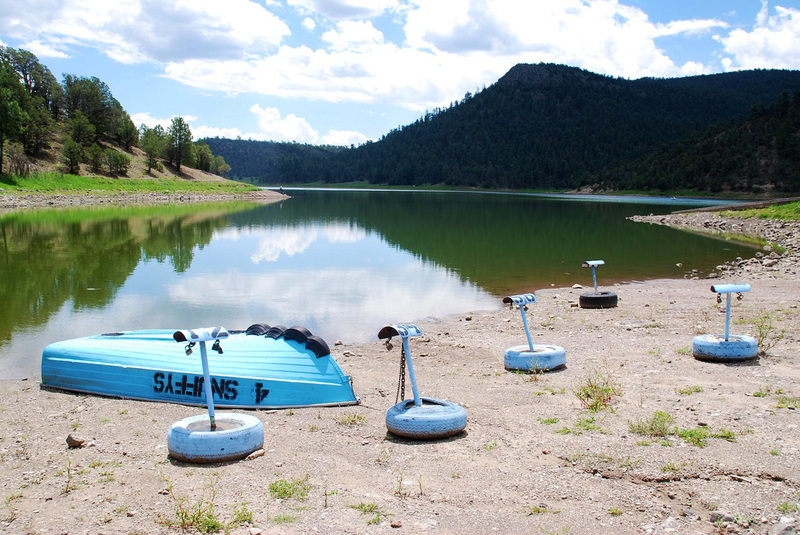 Quemado Lake is a no-wake recreational catch and release fishing lake for predominantly Tiger Muskie (must release below 40" inches) & Rainbow Trout. The largest ever caught trout was 26" in size and weighed 8.75 lbs. 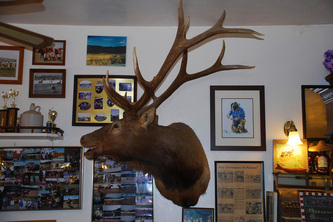 It was caught in May 2013 by a year-old boy from Silver City, NM. 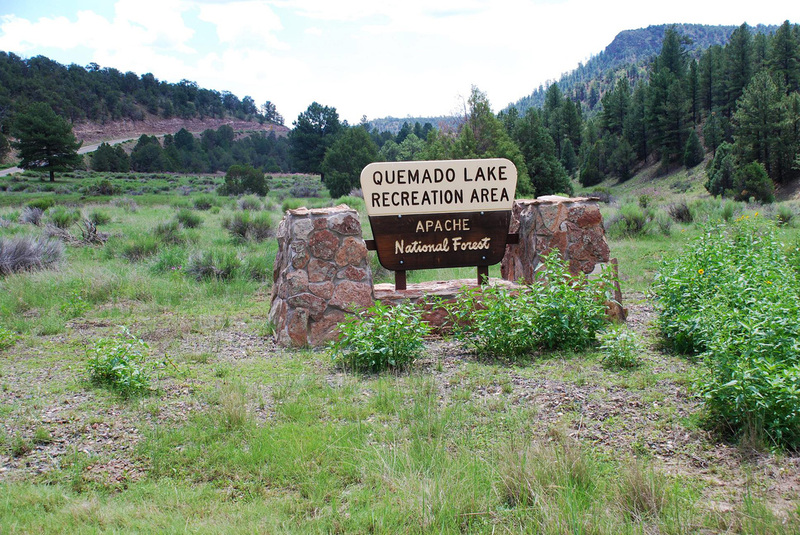 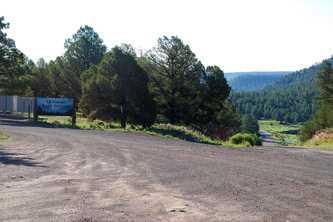 Quemado Lake can be reached via Highways 60, 32 & 103 and is only 45 min. from Quemado, 3 hours from Albuquerque, 4 hours from Tucson, 1.5 hours from Springerville, AZ.